A few days ago my battery died and I had to get a jump start from someone else to start my car. I was in such a rush to go to an appointment that I accidentally put the jumper cables on the wrong terminals so red went to black and black to red. If you have ever plugged two nine volt batteries together you’ll know what this does (The batteries get really hot!). Anyways, I figured out what I had done within 20-30 seconds, but the cables were already pretty hot and melting some of the plastic covering of the jumper cables. I then put the cables on correctly and was able to start my car and go to my appointment. Today I went "cold turkey" and drove my car with NO MUSIC! :) I have been feeling pretty tired and worn down lately from work, and I needed to get out of the house, so I went for a walk in the rocky "dunes" by the Gurdwara. Again here I was in silence by myself walking around in the beautiful nature of New Mexico. I started thinking about silence and how many "distractions" we have in our lives. It’s these distractions that keep us from seeing the "bigger picture" and getting stuck in every day routines. 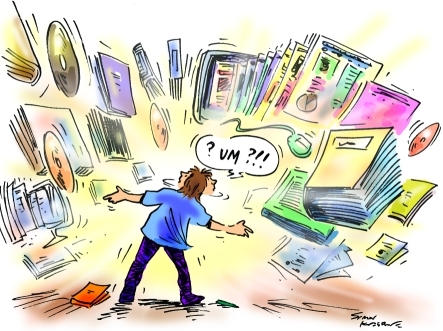 These days with so much technology and media we are constantly bombarding our minds with something. Watching TV, reading the news, listening to music, reading magazines, playing video games, using computers/internet, talking on cell phones, sms/text messaging someone, etc. 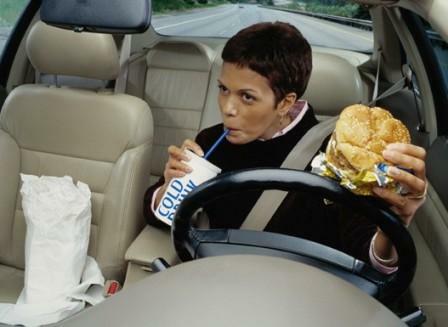 When I drive around it seems that 85% of the people in their cars are talking on a mobile phone while driving. How often do you find yourself NOT DOING SOMETHING? If you are like most people, that isn’t very often. We all tend to keep ourselves busy and always stimulated in some way. We are so over stimulated as a society that now Movies and TV now have to be ever more extreme, emotional, "fast", etc, in order to keep our attention. Everything has to be moving, changing, energized, to keep our attention and give us the "Fix". Such is the state of the world now where our minds are used to ever growing stimuli. Children are a perfect example. My son sometimes says how bored he is. We limit his TV/movie watching and video game playing to a minimum, but somehow if he isn’t playing with a friend, being entertained, watching a movie or game, etc, then he thinks there is nothing to do and is "bored". It’s as if our creativity get’s sapped and we can no longer have an imagination anymore. I remember my boarding school days in the mountains of Mussoorie, India. Back then (1983-93) things were so much simpler. We had sony walkman’s (to play tapes) and did listen to music, but we didn’t have as many external "distractions". We adventured around and had so much fun. It seems that those simpler less technological days are numbered and we are addicted to keeping our minds and bodies ever busy and stimulated. As I was driving home from Gurdwara today (with still no music :) my windows were rolled down and a nice cool breeze was blowing in. I was thinking about those times when I was younger just lying on the ground in silence on my back just watching the clouds float by in the sky. No music….just good ol’ mother nature and me. When was the last time you just lied in the grass or somewhere and just LISTENED to Nature? The sound of the breeze, the sound of the birds, the sounds of the trees swaying in the wind? I think many of the things that we have in our every day life are just distractions (maya)….keeping us in the cycle of every day life and distracting us from seeing the"bigger picture". It’s not that these things are bad necessarily. It is just that we forget about them and start to not see them anymore. Our awareness becoming narrower over time. It’s like when you break your leg you realize how important it is to walk, whereas you might take walking for granted since you don’t think about it. I still can’t listen to music in my car, but I am relaxed now and "listening" instead to the other sounds around me and it’s a whole different experience. Try it sometime. Turn off your radio/music in the car and try to listen deeply and listen to the thoughts flowing through your mind. Try just going outside some place quiet and just lie on your back and listen. Just Be…and feel yourself part of this beautiful creation. It’s funny how God gives us little lessons (like I got from my car audio not working). There are lessons and things to learn all the time, however we have to be open and aware to see and learn from them. Every challenge in your life is a chance to learn something, and all the good things are gifts to appreciate and be thankful for. I was looking for images online related to "Distraction" for this blog post and happened upon what looks like a very interesting and related book. See the details below. I guess I’m not the only one thinking about distraction…. We have oceans of information at our fingertips, yet we seek knowledge in Yahoo headlines glimpsed on the run. We are networked as never before, but we connect with friends and family via email and fleeting face-to-face moments that are rescheduled a dozen times. Welcome to the land of distraction. 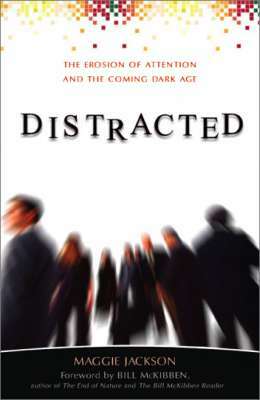 Distracted is a gripping exposé of this hyper-mobile, cyber-centric, attention-deficient life. Day by day, we are eroding our capacity for deep attention— the building block of intimacy, wisdom and cultural progress. The implications for a healthy society are stark." my love and gratitude or my irritation that morphs. Great articles Beta! Your article is right in the line with the feedback that I needed to reaffirmed be today.Â Aunty SatkirinÂ wrote a beautiful response of resorting to Gurbani shabads.Â I love it.Â Thank you!